Two bedrooms, two bathrooms with fantastic southwest facing roof terrace. Set in the peaceful village of Finestret, overlooking the village church and the Pyrenean foothills beyond, 9 Carrer Del Graons makes a lovely base for exploring the Languedoc Rousillon region. The house is arranged over three floors: a bedroom, shower room and large cellar on the ground floor; living room and spacious kitchen dining room on the second floor; and the top floor has the master bedroom and bathroom. The South West facing roof terrace, reached from the lounge or through patio doors from the master bedroom, is ideal for BBQ or just relaxing enjoying the views and the sun. Finestret has a population of about 150, mainly resident but with a few holiday homes and village gites. Village life centres around the church and the salon de fetes with many, all welcome, village events over the year. 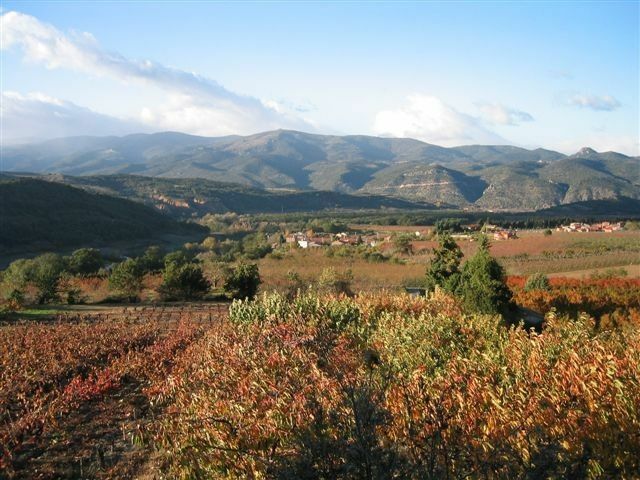 The village is surrounded by peach and cherry groves, great scenery for a bicycle ride or a short walk, several longer walks start from the village and for the more adventurous Mount Canigou beckons. The river Lentilla runs through the village and provides natural pools for swimming and several companies base canyoning trips from the village. Although Finestret has no shops (but a daily bread van passes through the village) Vinca is only 4km away with post office, bank, several restaurants, many bakeries and a swimming lake. From here you can also catch the Petit Train Jaune up the mountain to the ski resorts of Font Romeau. By car it is 45mins to the closest slopes and Andorra is two hours away. A little further afield......but only 8km from the village, is Prades, home of the renowned Pablo Casals music festival, larger supermarkets, more restaurants and a lovely weekly market. The Mediterranean and the Cote Vermeille towns and beaches, such as historic Collioure (45minutes) and the Costa Brava (1 hour), all make great day trips, as do visits to some of the many vineyards of the Languedoc Rousillon, the largest wine producing region of France. By car from Perpignan take the N116 direction Prades and Andorra, from junction 42 (South Perpignan) of the A9-E15 autoroute, La Catalane. Leave the N116 at Vinca and Finestret is a 4km drive to the South. My wife Sarah and I live and work in West London with our 4 year old daughter Ziggy. We love living in London, but still take every opportunity to travel, especially to our home-from-home in Finestret - quite our favourite place...and we think you will agree. The property is so easy to get to, and yet you really feel you are in the real France. It is right in the centre of the Finestret, with wonderful views up the mountains - its thick walls keeps it cool in Summer, and come Winter it's great to return from skiing and get the wood-burner roaring. The local towns of Vinca and Prades have all the amenities you need, and wonderful markets, bars and cafes. Every time we visit we come away totally relaxed and reinvigorated. 9 Carrer Del Graons is so well placed for exploring the wilds of the Pyrenees at any time of year, skiing and water sports are readily accessible, and the hiking and mountain biking starts right at the front door. There really is so much to do...including relax! Washer/drier in the cellar. Airing horse. Second refrigerator in the cellar. Fully equipped with high quality pots/pans and Le Creuset. Also a slow cooker and sandwich toaster. See photos. Also a child seat, adult helmet, lock, puncture repair kit and track pumps. Wild swimming in the Lentilla 300m up from bridge. As the house is set over three floors there are a lot of stairs some are open sided and this might make it unsuitable for younger children or for those for whom steps are a problem. A beautiful home and setting, a perfect base for our holiday. Thank you for such a delightful place to stay - spotlessly clean, beautifully furnished and very comfortable. It is not often that a holiday property exceeds the pictures and description but in this case it did. The house was wonderful and very comfortable and was in a great position to visit this area of the Pyrenees. Lovely place to stay and use as a base to explore! This was our first trip to France and we thoroughly enjoyed the area. The cottage was very comfortable and had everything needed for a comfortable stay. It was the perfect base for extensive exploration of an area full of interesting outings. We need another holiday as two weeks was not long enough to fit it all in! We explored in all directions, covering mountain tops, beaches, caves and plenty in-between. The owner, Tim, was very helpful and we loved his welcome/info sheet which was full of useful info and a lovely sense of humour. We'd definitely love to visit again. Thank you, Tim. Spacious and homely place with well stocked up larder. Wifi in gite would have scored 5 stars. Although we could get to a cafe a few kilometres away to get the internet this is not always the most convenient option. Was a little frustrating at times as there was no mobile reception either. Great stay though. I can recommend this place. A well equipped property in a quiet mountain village. Ideal for walking and exploring the wonderful surroundings. We spent an enjoyable two weeks and would be happy to recommend to others and visit again. There is plenty to do around Finestret. The leisure lake & tennis courts are in nearby Vinca. Walk or take a 4 x 4 trip to the top of Mt Canigou. Skiing at Pyrenees 2000, Les Angles or Font Romeu or set aside a day for the slopes of Andorra 2 hours away. Prades if famous for its Casals' music festival each summer and there are many fascinating towns such as Ceret, Collioure and Mont Louis all within an hours drive. The Mediterranean is 40mins to the east. Deposit of 25% to secure booking, remaining 75% payable 5 weeks before rental start date. Rental is per week from Saturday to Saturday with arrival at 16:00 and departure at 10:00. At certain times of the year weekends and mid week stays may be available please feel free to enquire. A deposit of 25% is requested at the time of booking with the balance due 5 weeks prior to arrival. A returnable deposit of £150 is requested when the balance is due. Price includes bed linen and both bath and beach towels and cleaning on departure. Directions, keys and more information on the house and area will be provided two weeks prior to arrival.